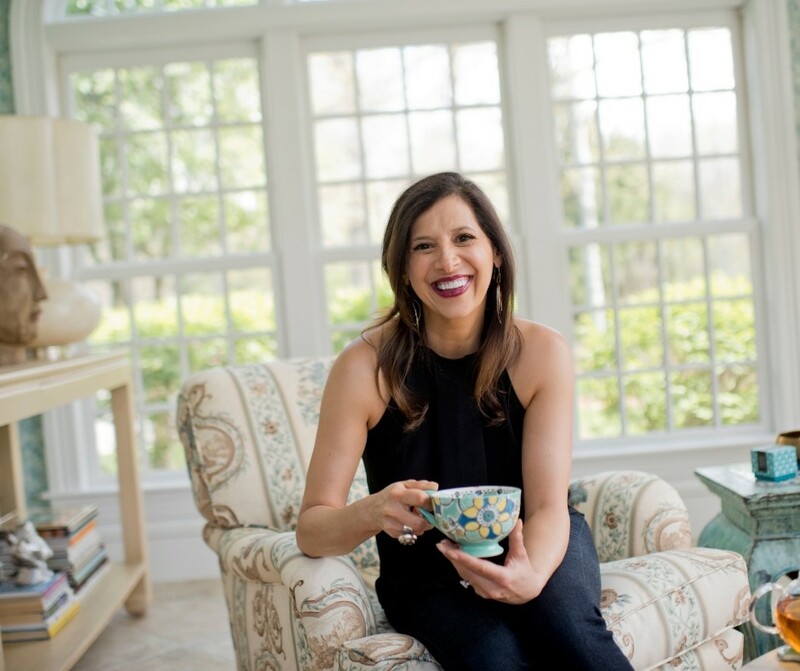 As a Life Design and Health Coach and the founder of a company called Healthy Happy and Hip, I think about ways to help my clients feel healthier and happier on a daily basis. 1. The Food/Mood Connection — The number one thing that I see impacting people‘s happiness is the food they put in their mouth. In my mind, sugar is the biggest culprit when it comes to sadness and worry, but many foods can have an impact on how we feel and eating a healthy non-inflammatory diet can give a big happiness boost. 2. Movement of any kind makes us feel happier. It doesn’t mean you have to go to the gym or be a long-distance runner — even dancing around in your boxer shorts to your favorite tunes will boost your happiness. 3. Sleep is a no brainer. Is it any wonder that sleep-deprived mothers feel overwhelmed and sad? Well, it’s true for the rest of us as well. If we don’t sleep, we struggle to make it through the day and then reach for unhealthy foods which only make us feel sadder. 4. Meditation is a biggie when it comes to happiness and not in the way you might think. You don’t have to sit for hours to get happiness benefits. Meditation is a tool to help bring us back to the present moment. It’s been said that when we dwell in the past, we get sad and we focus on the future we can anxious. Coming back to the NOW, where everything is OK, is a way to boost happiness quickly. 5. Life Purpose and Work Worth Doing are very important to feeling happy. This doesn’t mean that you have to save the planet but, rather, when you wake up in the morning you have something to do that feels meaningful. This can be anything from taking care of your loved ones to helping others to simply feeling proud of your work. 6. Adding Joy, Fun, and Pleasure in your life can make us really happy. Often times it’s the little things like sitting by the fireplace with a cup of tea, hanging out with a friend, doing something crafty, riding a bike, or other things we did as a kid that make us really happy and don’t cost much at all. 7. Surrounding Yourself with Inspiring Supportive People — I can’t emphasize enough the importance of community. Despite thinking that we are so connected via social media, we are lonelier than ever. We need real conversations with real people about our struggles and challenges and a safe space to be who we really are without judgment. 8. Focus on Other People’s Happiness to feel happier yourself. Frankly, there has been so much written about happiness that we think we are supposed to be happy all the time. This is just not possible! Try to appreciate the ebbs and flows of our emotions — it’s like the ocean coming in and out. By helping others feel happier, you will stop focusing on yourself, and reap huge benefits! If you are feeling stressed out, stuck, and overwhelmed there are lots of us out there that can help you feel healthier and happier. Get support. Suffering is not noble!! I am a Life Design and Health Coach, author, speaker, and podcast coach who loves helping people create happy, healthy, and meaningful lives.